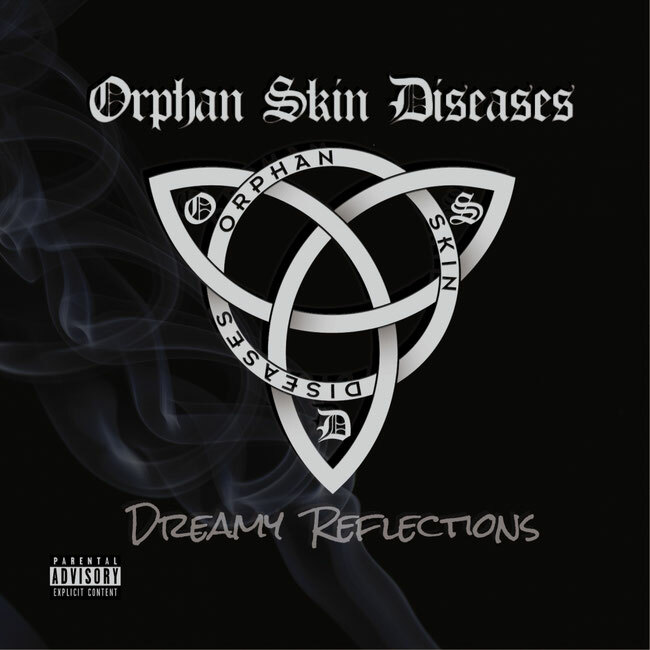 Logic Il Logic Records & Burning Minds Music Group are glad to announce that "Dreamy Reflections", official debut album of Italian alternative rock/metal band Orphan Skin Diseases, is set for release on July 13, 2018. Orphan Skin Diseases were formed in 2015 by drummer maestro Massimiliano Becagli, known in the Italian scene as the drummer for respected heavy metallers No Remorse. The Orphan Skin Diseases line-up was completed by the addition of skilled musicians from the Italian rock/metal scene: Gabriele Di Caro (ex Sabotage, ex Outlaw - Vocals), Juri Costantino (ex Creation - Bass) & David Bongianni (ex Virya, Little CB - Guitar). The band’s style was built by mixing the influences from each musician in order to reach a refined and personal sound. Progressive rock music, heavy metal influences, funky hints and alternative elements are perfectly mixed and balanced to create a powerful-but-catchy experience. "14 new songs, 14 actual and personal stories for the whole band. 14 tracks reunited in an album with a clear title, "Dreamy Reflections", which represents what we feel inside and what we try to show throughout the album. We like to define ourselves a four-pieces band plus one member, this to remark that Dimitri Bongianni is now officially part of the band due to his precious support both in providing vocals parts and arranging the songs of the album. Last but not least, we'd like to thank our label, Logic Il Logic Records, for the precious help in making this album possible". "Dreamy Reflections" has been mixed and mastered @ Atomic Stuff Studio (Isorella - BS - Italy) by Italian sound engineer Oscar Burato (Airbound, Firmo). Pre-orders of the album (including the Special Ltd. Personalized Edition available exclusively @ Rock Temple) will be launched in early July. Buy single "Flyn' Soul" now.